• Turn the heat to low, add the flour and stir vigorously until the mixture forms a ball. • Heat the oil for frying in large heavy pot. • Pipe 2 to 4 inch long strip of dough into the hot oil and cook until golden brown. • Drain on paper towels, dust generously with icing sugar. • Keep chocolate in mixing bowl. • In saucepan put milk, liquid glucose and cinnamon stick and boil on slow flame. Once done add the hot milk to chopped chocolate and mix well, add butter and keep cover with cling film. 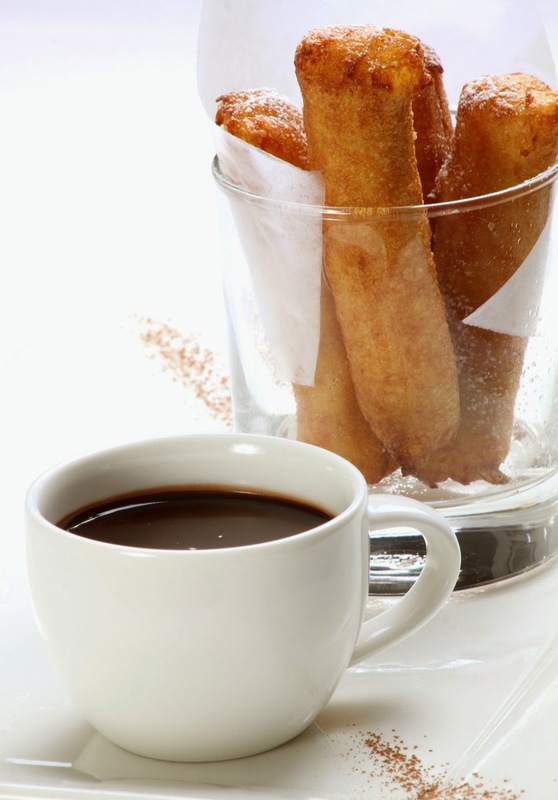 • Serve fried churros on a plate with the warm chocolate on the side.